Curious about our agency’s history or what it takes to build an ad agency from the ground up? 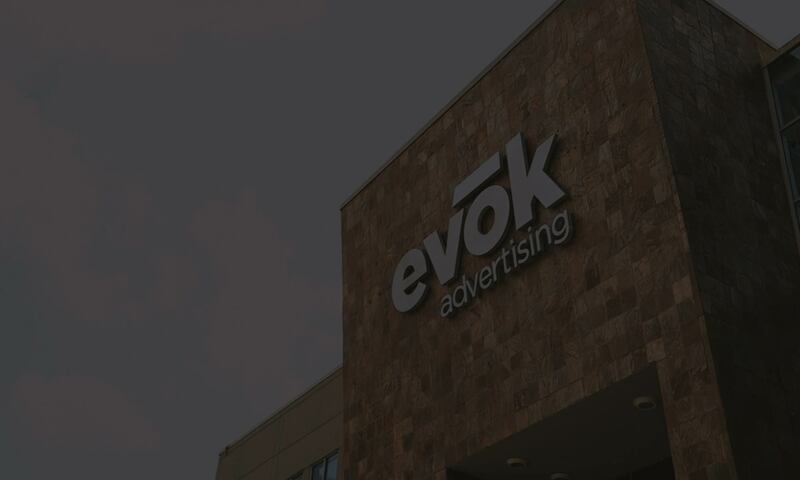 We asked our CEO, Larry Meador, to share his experiences bringing evok advertising to life. Here’s what he had to say. I always knew I wanted to be in advertising in some form or fashion. My grandmother said that as a child, even in the playpen, I would play all day with the TV on in the background only turning my attention from the toys to the TV when a commercial aired. Looking back, I think it was because the TV spots were much louder than the shows, and they got my attention, but hey, let’s say “I was destined”— it sounds more impressive. When it came time to get a formal education in advertising, the University of Florida called my name. UF has always been rated in the top schools for communications, and a thousand miles didn’t seem that far away, so from Gainesville, Texas, to Gainesville, Florida, I went. Those words have always stuck with me, both that I needed to continually hone my writing skills, but also that I had a fallback career that did alright by Al Bundy. More importantly, I remembered my answer, poor as it was, “…a people person.” Boy, did I underestimate just how important that would be. 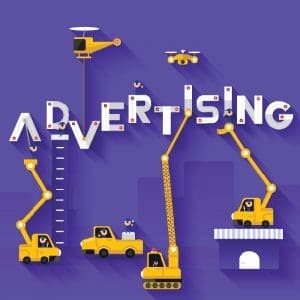 I won’t bore you with my career before being a co-founder of evok advertising, as this blog is about what I’ve learned building an agency. For context, I’ll say I did some work in-house for some pretty big shops and small ones, too. I worked on some very well-known national brands and startups, but consistent across all was, you guessed it, the people. Time after time, I encountered and worked with people passionate for the industry, brands and the work. Truth be told, I had never thought of owning an agency, but when I found myself out of work for the first time in many years, newly married and about to start a family, that path was carved out for me. Hire everyone smarter than we are. Fall on the sword for any team member. Work hard every day to create an environment people want to come back to tomorrow. When bringing anyone aboard our team, we look for passion, the desire to succeed in all aspects of life and the ability to work well with others as both a team member and a team leader. There are many attributes that weave in and out of the eclectic group that make up the evok team, but I can confidently say they are some of the greatest people I’ve ever met, and most importantly, always getting better. Every evok team member has a great resume—the best education, experience and references. These accomplishments helped to get them in the door, but like a new car off the lot, they age on day one, and the new models are coming out soon with the latest and greatest features. To stay competitive in the workforce and to stay competitive as an agency, we have to invest in continuing education—we have to be on the cutting edge. At evok, each team member has an annual stipend to expand their knowledge base and hone their skills. From webinars, seminars, trade shows and conferences, to more formal education with our client/partner Seminole State College, each evoker has an opportunity to take on educational challenges that will make us stronger as a team. We’d like to think that our team members will be with us forever, but experience has taught us that there are some who stay and some who move on. In either case, we believe it’s important to have open lines of communication about their career goals and to contribute to their attainment of those goals—it creates a stronger team. It’s the team and the team environment that is the next lesson earned: the culture. The culture inside any business has a huge impact on its success. If the team feels appreciated, rewarded, motivated and provided with the tools they need to be successful, the organization will be as well. With Boomers, Gen Xers, Millennials and Generation Z all working together, our goal as leaders is to bridge the gap between the stereotypes, real or imagined, and generations to create an eclectic mix, a jambalaya of flavors if you will, where the whole is greater than the sum of its parts. The most successful agencies take advantage of the fact that we’ve never had so much experience and energy in the workforce at one time. They understand that these generations have different languages, work expectations and motivations based on how and when they grew up, and they nurture a culture beyond ping pong tables, bean bag chairs and bring-your-dog-to-work days to one that offers flex time, continuing education, comprehensive healthcare and career advancement opportunities. We take those words to heart. And although we, too, have been named a “Best Place to Work,” we’re constantly working to ensure our culture gets better all the time. In fact, we’re always working to get better as an agency, too.